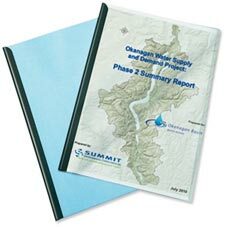 If it is assumed that in the future only the climate changes, and everything else (including population) were to remain the same, Okanagan residents would use on average 9% more water over the 2011 – 2040 period than at present, and 18% more during the 2041 – 2070 period. Also, the growing season will be longer*. If climate and population both change as expected, and all reasonably irrigable land is developed over the 2011-2040 period, annual water useVolume or rate of water diverted or withdrawn from a water body (eg a stream, lake, or groundwaterWater existing below the ground surface in aquifers aquiferAn underground formation that stores groundwater) for use by humans on the land surface. Actual water use is determined through direct measurement. Water demand is an estimate of actual water use. would average 19% higher over that period than it is today, even if we continue to introduce water useVolume or rate of water diverted or withdrawn from a water body (eg a stream, lake, or groundwaterWater existing below the ground surface in aquifers aquiferAn underground formation that stores groundwater) for use by humans on the land surface. Actual water use is determined through direct measurement. Water demand is an estimate of actual water use. efficiencies at the same rate we are doing today. 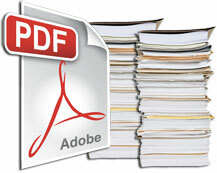 If we follow the Provincial guideline of achieving 33% improvements in water useVolume or rate of water diverted or withdrawn from a water body (eg a stream, lake, or groundwaterWater existing below the ground surface in aquifers aquiferAn underground formation that stores groundwater) for use by humans on the land surface. Actual water use is determined through direct measurement. Water demand is an estimate of actual water use. efficiency by 2020, that 19% figure drops to 12%. In dry summers when less rain is available, the portion of a crop’s water demandWater useVolume or rate of water diverted or withdrawn from a water body (eg a stream, lake, or groundwaterWater existing below the ground surface in aquifers aquiferAn underground formation that stores groundwater) for use by humans on the land surface. Actual water use is determined through direct measurement. Water demand is an estimate of actual water use. determined using an estimation approach, such as a model that must be met from irrigation increases. If three dry years occur in a row, the water useVolume or rate of water diverted or withdrawn from a water body (eg a stream, lake, or groundwaterWater existing below the ground surface in aquifers aquiferAn underground formation that stores groundwater) for use by humans on the land surface. Actual water use is determined through direct measurement. Water demand is an estimate of actual water use. during these three years could be 40% – 50% higher than an average year today, depending on the agricultural land base and population at the time they occur. 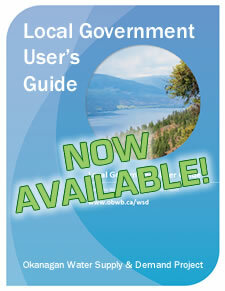 * According to the models, the Okanagan will have a longer growing season – increasing water demandWater useVolume or rate of water diverted or withdrawn from a water body (eg a stream, lake, or groundwaterWater existing below the ground surface in aquifers aquiferAn underground formation that stores groundwater) for use by humans on the land surface. Actual water use is determined through direct measurement. Water demand is an estimate of actual water use. determined using an estimation approach, such as a model from crops, landscaping, and natural areas.